As poor air pollution affects 92% of the world's population, there is a growing need for low cost direct pollution measurement in order to combat growing air quality concerns. Chemical gas sensors will play a key role in pollutant monitoring over the next decade and IDTechEx predicts that the environmental sensor market will be worth more than $3 billion annually by 2027. The chemical sensor industry is at a tipping point, with advancements in microfabrication technology, gas sensors can now easily be integrated into a number of consumer devices. The new IDTechEx Research report Environmental Gas Sensors 2017-2027 details future opportunities as well as challenges faced when introducing chemical gas sensors to new markets as well as highlighting key trends and pioneering work in the gas sensor field. This report by IDTechEx analysts contains a comprehensive assessment of both current environmental monitoring equipment and the range of sensor detection principles suitable for use in this field, as well as key growth areas for the sensors industry, as gas sensors become a vital part of our infrastructure. Key growth areas will be in consumer electronics, such as mobile phones and wearable technology. Indoor air quality can be accurately and quickly measured using indoor air quality units that are becoming central nodes for air purifiers and other environmental apparatus that will improve the air quality of residents and in turn reduce the health risk that they are exposed to. The environmental sensor industry is currently focussed largely on the automotive industry, where sensors monitor the environment for pollutants to control air flow into the driver's compartment. 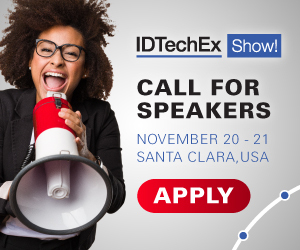 IDTechEx analysts have identified several new opportunities in this field over the coming decade, making use of the range of sensor technologies and detection principles available. IDTechEx analysts expect large growth in these areas, with the largest growth markets being in mobile devices and air purifiers. With a growing ecosystem of connected devices, sensors will play a key role in monitoring and reacting to poor air quality, through the use of air purifiers, air condition, heating and smart window systems, sensors will be able to measure, forecast and react to air quality through the day, ensuring that the health risks of environmental pollutants are minimized for citizens. IDTechEx has built a comprehensive picture of environmental gas sensors. Environmental Gas Sensors 2017-2027 contains company profiles of the largest, most innovative and disruptive companies in the industry. Each profile details the history and technology knowledge of the company, as well as key metrics and information regarding their direction and technology roadmap over the coming years. The report gives a complete view of the key technologies that will be used over the next decade to monitor and combat poor air quality around the world as well as details on the key players, future opportunities and challenges in this growing industry.